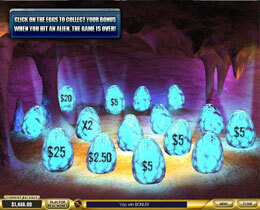 Players will be transported to a mystical galaxy in this 5 reel, 25 payline slot game. 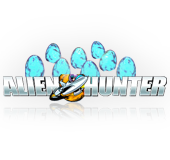 The icons in this alien theme consist of a variety of Martians and Creatures including playing card icons such as 9 to Ace. The wild creature in a cage is the Jackpot icon. When a player gets a winning combination the realistic out of space sound effects will be heard and the icons on the reels will become animated. 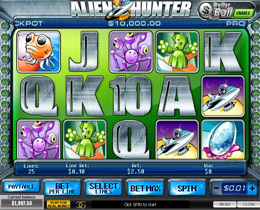 Gamblers can also place an option side bet in this slot game which enhances their chance of winning the ever increasing Progressive Jackpot. 5 Numbers from 49 will be drawn at random as in a lotto game and all players have to do is wager an extra $1 on the Dollar Ball Jackpot and guess which number will be drawn next. If all 5 numbers are chosen correctly then the Jackpot will be won.